You have probably seen highly charged atmospheres in companies where the executive team has decided that the company must have a Big Data strategy. Those tasked with then putting it together feel this pressure to prepare an impressive plan that represents a big leap and a lot of investment. It’s similar to what happened in the 90’s with CRM and then what happened right around the 2000 mark with the Internet. Faced with the rising wave of interest and investor questions, companies risk making knee-jerk reactions which all too often result in corporate and personal disaster. Big Data is on the same trajectory. We see it in our everyday conversations with others, in the press and promotional arena. It has also been shown in the Gartner “Hype Cycle” for 2012 — http://www.infoq.com/news/2012/08/Gartner-Hype-Cycle-2012. 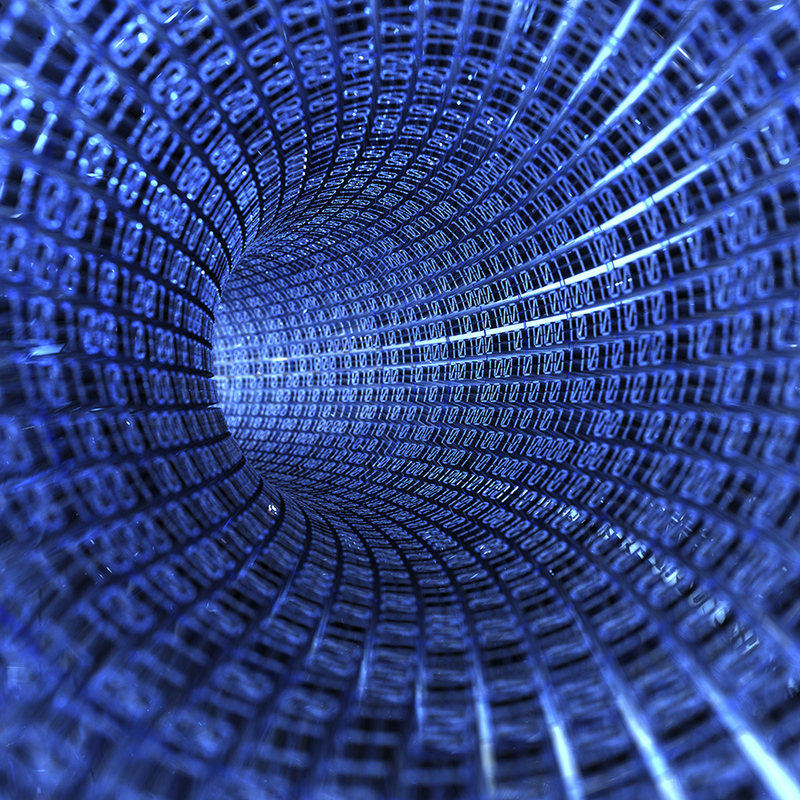 Leveraging Big Data in your company does not have to be mysterious, intimidating or expensive. There are different ways to approach the elephant — and as the adage goes, maybe the best way it to take it one piece at a time to digest it properly and align it within the organization. One approach I’d recommend is doing what I call the 3-V Application Value analysis. This is where you assess the specific Big Data that you have access to and then look at the differences that Big Data offers from what data, analyses and resulting applications you currently use. 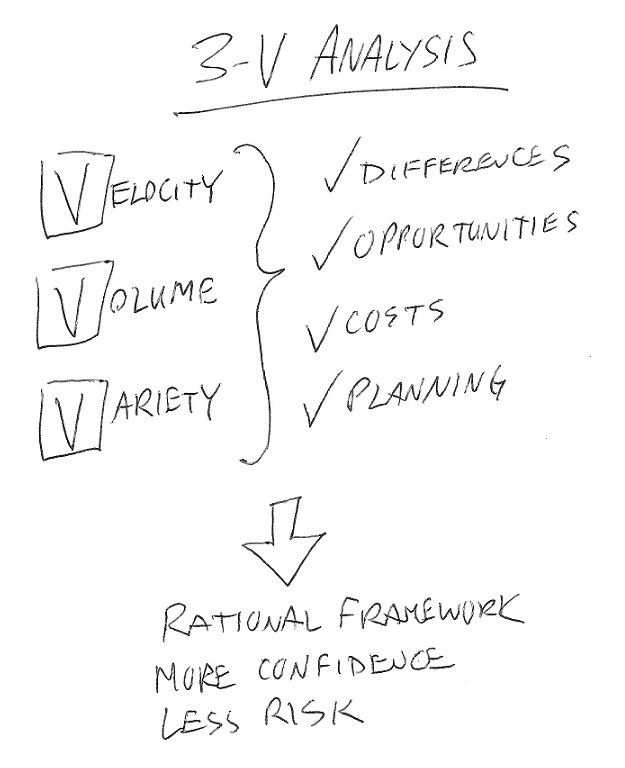 Do this by each of the V’s that define Big Data: Velocity, Volume and Variety. This leads to an opportunities and costs analysis that will then be the basis of a plan of action. This is a reasoned approach to getting the best value out of your investment in Big Data. The benefit of this kind of approach is the creation of a rational framework for advocating specific kinds of Big Data investment. A team can examine the detailed differences between existing data being used and Big Data, link those to potential new analyses or applications, and tie them to specific investments. The contrasting and incremental nature of this approach takes the mystery out of Big Data by relating it to what you have experience with and providing a stepping-stone approach that builds on strengths and ensures investments will be made with confidence and less risk. This entry was posted on December 6, 2012, 5:49 pm and is filed under Big Data Leadership, Intelligent Analytics Leadership. You can follow any responses to this entry through RSS 2.0. You can leave a response, or trackback from your own site.